In a first such move in more than a decade, over three dozen organisations, including OMCT, have launched today a call on governments to adopt a resolution at the next session of the Human Rights Council addressing the worsening abuse of rights in the People’s Republic of China. 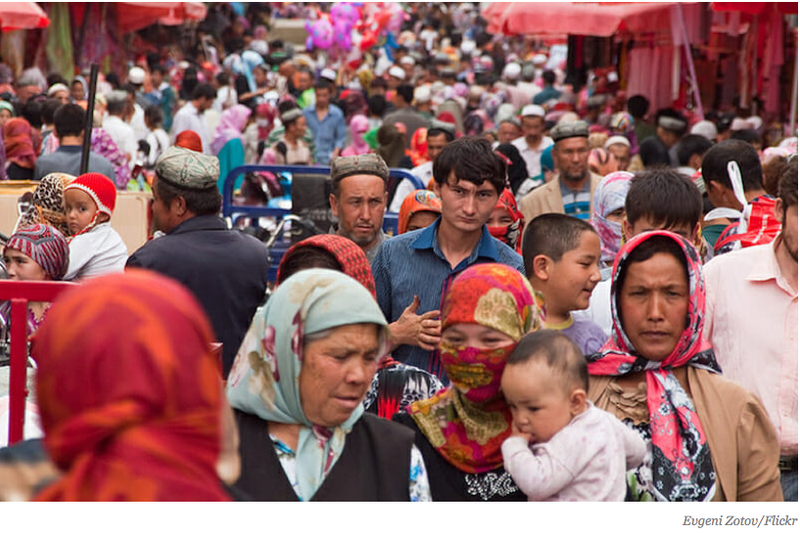 For the signatories, the mass detention of an estimated one million Uyghur and other Turkic Muslims in China calls for a concerted response from the international community. The resolution would ask for access by independent international human rights experts to all parts of the People’s Republic of China, in particular to areas inhabited by Uyghur, other Turkic Muslim, and Tibetan communities, but also for an end to the criminalization of the work of human rights defenders, and for the immediate release of all individuals unlawfully deprived of liberty. The full text of the letter to Governements is copied below. • demand an end to the abuse of national security legislation as a means of criminalising the work of human rights defenders, freedoms of expression, association, religion or belief and subverting due process, and call on China to seek technical assistance from UN experts to this end, including at the Office of the High Commissioner for Human Rights (OHCHR). • call for the immediate release of any and all individuals subjected to unlawful and unjustified deprivation of liberty, in particular those held extra-legally or in extended pre-trial detention, and provide remedies and reparations to address harsh treatment, at times including torture, and loss of livelihoods. • express support for the OHCHR and UN Country Team to take steps to expand, improve and regularise monitoring and reporting of the situation in China. • In August 2018, a review by the Committee on the Elimination of Racial Discrimination declared that western China’s Xinjiang region was akin to a ‘no-rights zone’, and urged the government to take prompt action to disclose information about internment camps and to release the up to one million Uyghurs, Kazakhs and other Muslim minorities arbitrarily detained there. • In her update to the September 2018 session of the Human Rights Council, the UN High Commissioner on Human Rights Michelle Bachelet echoed the Committee’s concerns, noting ‘deeply disturbing allegations of large-scale arbitrary detentions of Uighurs and other Muslim communities, in so called re-education camps across Xinjiang’ and adding that her Office has also received ‘reports… of patterns of human rights violations in other regions’. She requested access for her Office to all regions of China. • At the Universal Periodic Review of China in November 2018, the consistency of recommendations related to the need to improve respect for minority rights in general, and in particular address serious violations in Xinjiang and Tibet, was remarkable. Similarly, key issues of interest to the diverse human rights community in mainland China – freedom of expression and opinion, freedom of religion or belief, civil society space, ‘residential surveillance in a designated location’, and protections for LGBTI individuals – were clearly articulated. • Over 2018, the UN Special Procedures issued at least 21 official communications on China, on issues ranging from access to education and cultural rights for Uyghurs and Tibetans; to due process violations, including risk of torture and suppression of the legal profession; to forced evictions and occupational safety risks for electronics workers. Also in 2018, the Working Group on Arbitrary Detention adopted at least two opinions, concerning two citizen journalists and three lawyers, deeming their detentions in China arbitrary under international human rights law. • Naming specific individuals is critical; this contributes to sustained attention and improved conditions. Those who have been the subject of Communications by Special Procedures and, in some cases, referred to in the Concluding Observations of UN treaty bodies, include: Huang Qi, Li Yuhan, Jiang Tianyong, Qin Yongmin, Tibetan language advocate Tashi Wangchuk, Uyghur intellectual Ilham Tohti, and human rights lawyer Wang Quanzhang, sentenced after a closed trial on 26 December 2018 to four and a half years imprisonment for subversion of State power. • An additional Communication by 10 Special Procedures, issued in August 2018, called for the removal of legal provisions permitting 'residential surveillance in a designated location', echoing concerns of the Committee against Torture that this constitutes de facto incommunicado detention.